Place the almond spread, honey, yoghurt and milk in a large bowl and stir well to combine. Add the quinoa, oats, currants and pepitas. Stir to combine, cover with plastic wrap and refrigerate for 6 hours or overnight. Add extra milk to loosen the mixture. Divide between bowls. 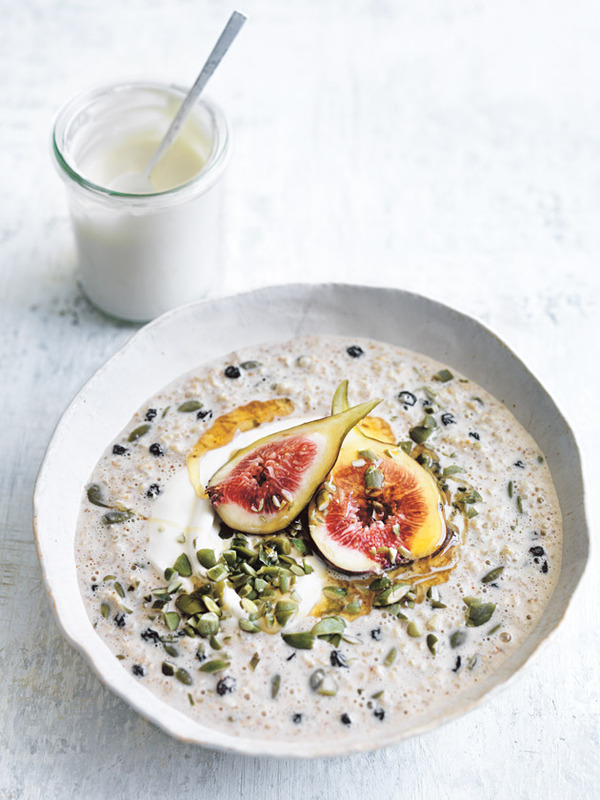 Top with the extra yoghurt, extra pepitas, extra honey and figs to serve. Serves 4. + ¾ cup (150g) quinoa will make 1½ cups cooked quinoa.